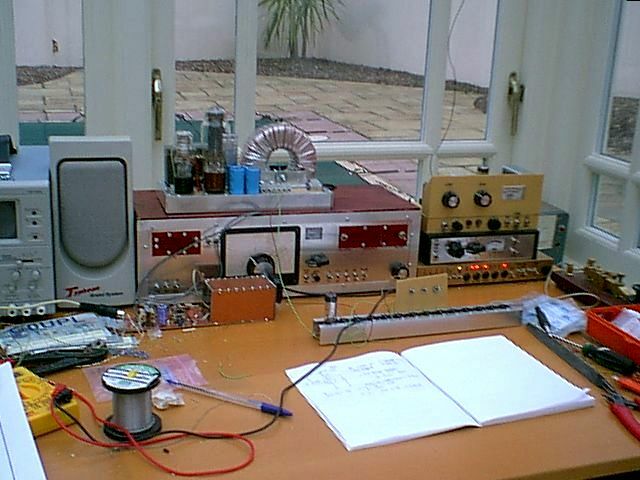 This is a crazy project to build a 60KHz MSF Rugby radio-controlled clock with a difference. Well, several differences in fact. The most extreme of which is not that it uses a nixie display, in conjunction with an oscilloscope CRT having Lissajous figure digits. Rather that it will be built using all-valve technology, with no semiconductor in sight! The nixie tubes are BiQuinery type and will be switchable between time and date. The majority of the digital switching sections of this project will use cold cathode trigger tubes type 5823A, and Thyratrons type 5696. These were available in large quantity at small cost. They have a 7-pin miniature base (B7G). The RF and other sections will just use whatever valves I find in my junkbox. It may take in excess of 200 valves to construct this project. 1. 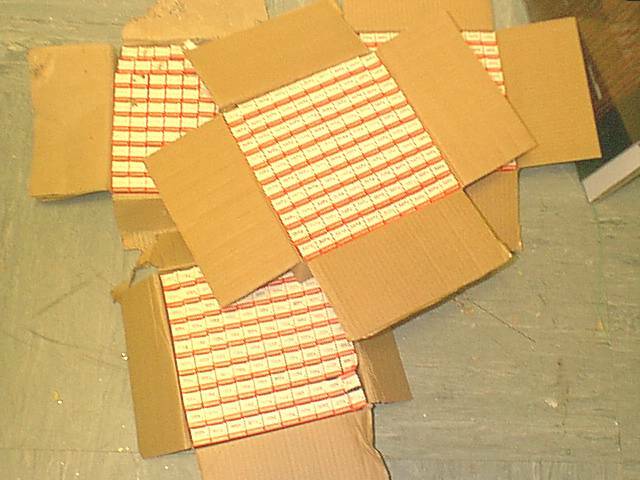 400 valves in boxes of 100 each! 200 are 5823 cold cathode trigger tubes, the other 200 are 5696 Thyratrons. 2. 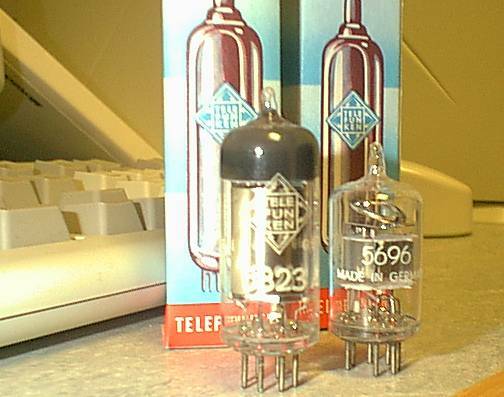 A 5823A cold cathode trigger tube stands next to a 5696 Thyratron. Both are Telefunken, Made in Germany. 3. Here's the first "rack", constructed from aluminium angle sections. It has sockets for 14 valves, and 3 switches temporarily mounted for testing purposes. 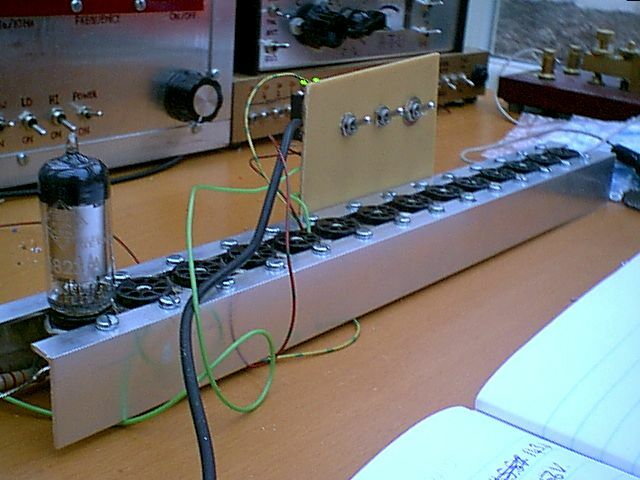 Here the rack contains a single 5823A undergoing initial experiments. 4. This is something like what the 5823A looks like when "lit". See the blue glow. Some of the others I tried have a significantly greenish blue glow. 5. Workbench while testing the 5823A. 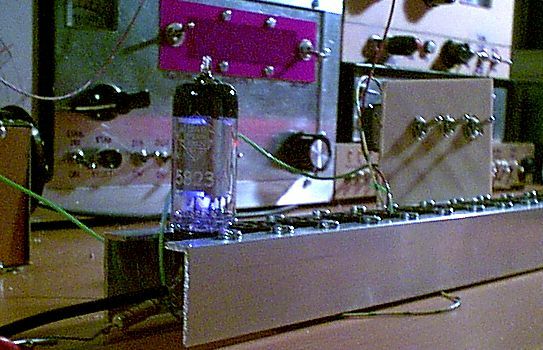 Notice the valve PSU from a valve tranceiver project, being used as the power supply.